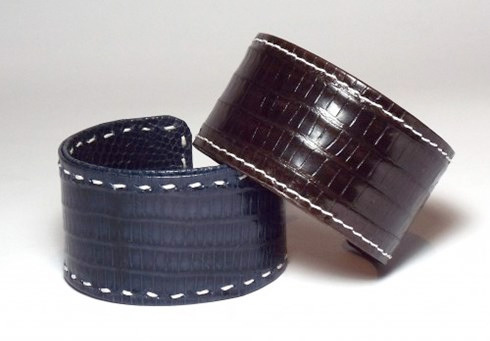 The white piping gives the beautifully structured dark lizard leather a fresh and modern touch. Dimensions: 2.5cm wide, oval: 5.4 x 5.6cm diameter (approx inside measures). 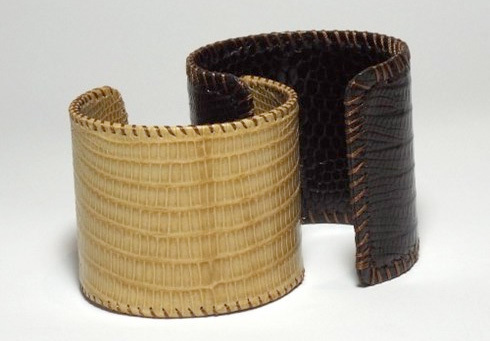 The cuff is elastic an can be bent slightly to fit. 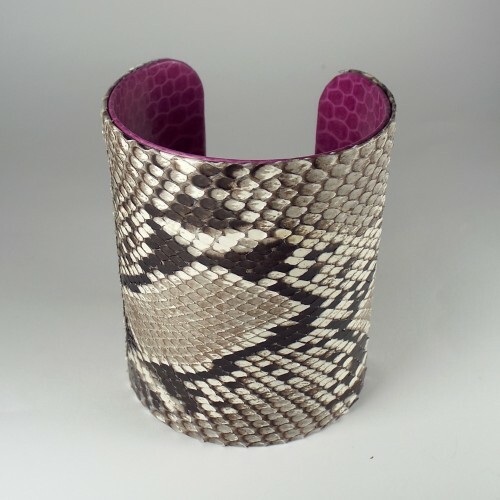 Material: Outside and inside lizard leather, on a light-weight aluminium frame to give the cuff an elastic but stable structure. 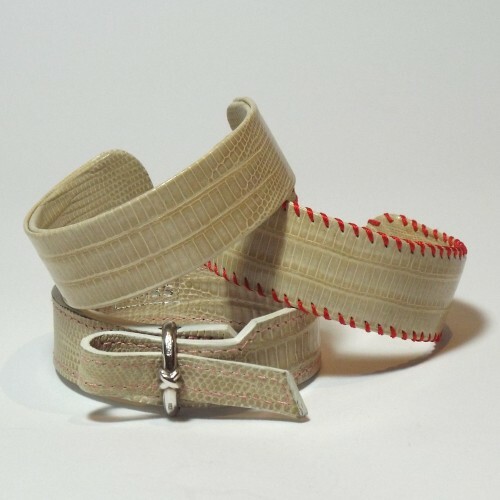 The piping is made of white calf leather. 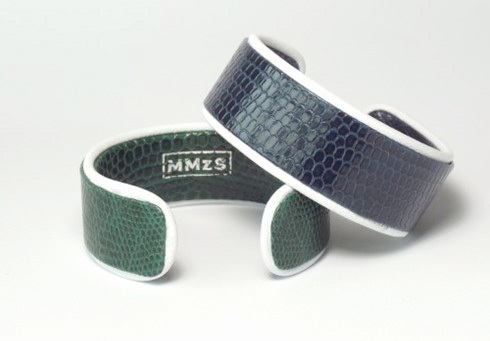 The lizard leather is compliant with the Convention on International Trade in Endangered Species of Wild Fauna and Flora (CITES).